1 . 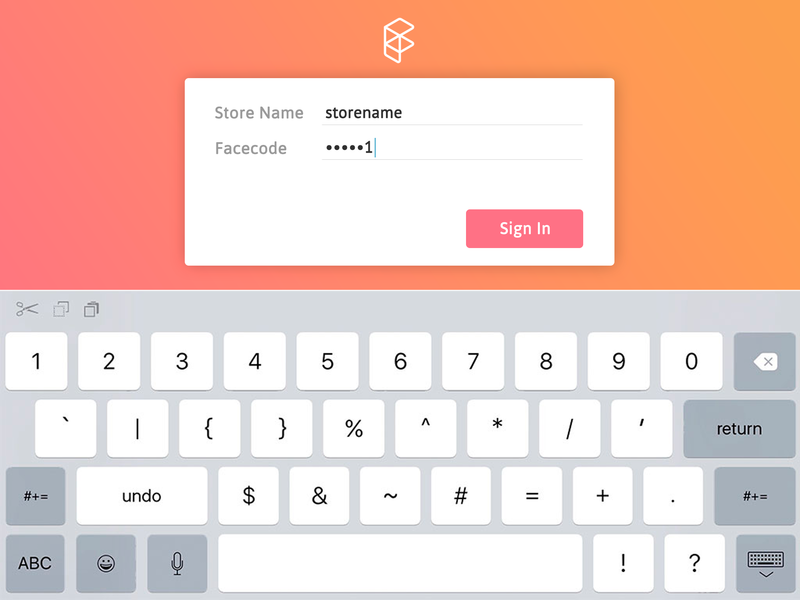 Enter your Store name that you indicated during the sign up process. 2. Find your Facecode on your Facelet home screen or in account settings. 3. 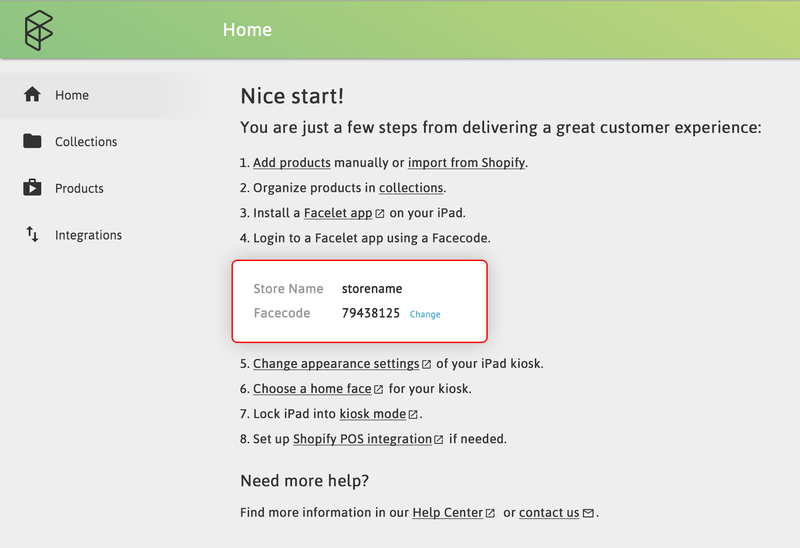 Enter your Facecode and click Sign In.